EV Grieve: From the reader mailbag: What is this on 11th Street? 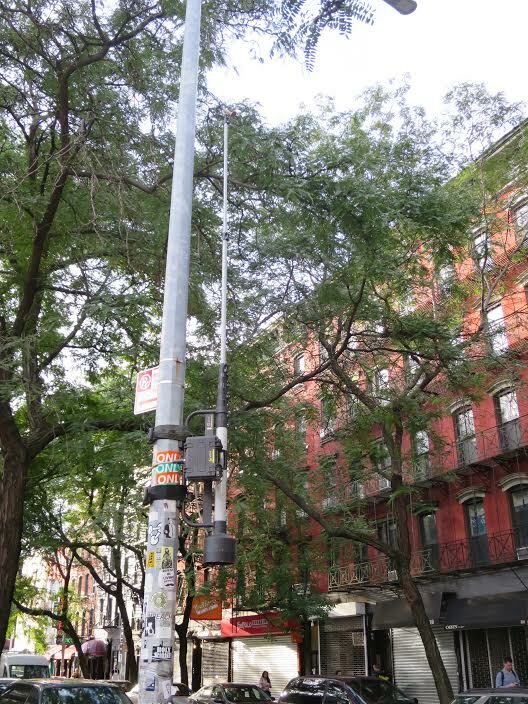 From the reader mailbag: What is this on 11th Street? The reader asked: What is this? Thanks for the responses about this traffic data collection thing... see comments. No idea, but it looks like it'd be fun to break it. These are popping up all over the city. 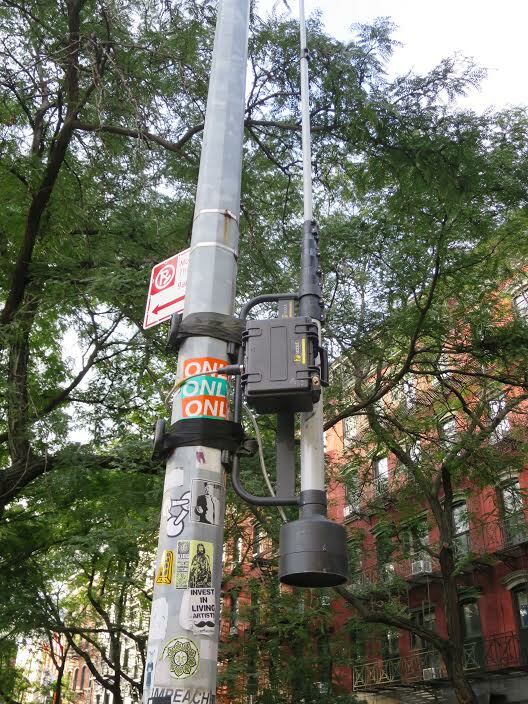 Saw one at Bowery and Great Jones for a few weeks and noticed another one by Barnes and Noble - north of union sq. Curious what it is too. Traffic monitor. 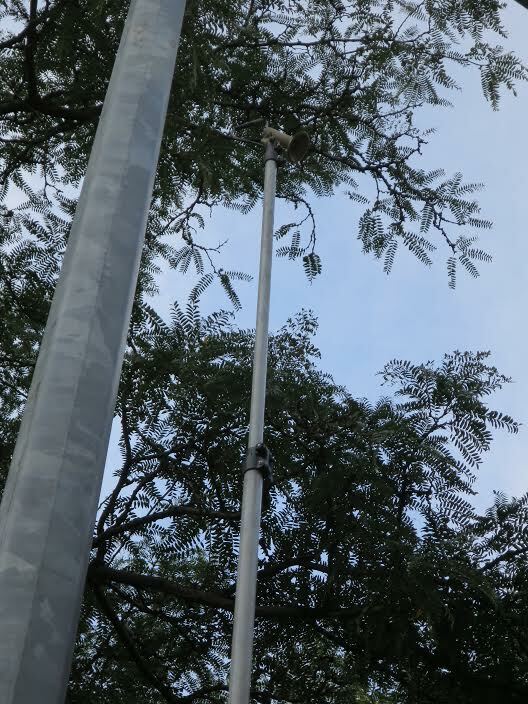 Camera is mounted on top of pole. Monitor/recorder in black plastic housing. Also license plate reader, etc. It's a Neuron-Tuning device for Big-Brother Mind-control of LES Deviants and Free-thinkers. When you walk by alone at night this thing will come down and tap you on the shoulder, making you turn around. Just in time for Halloween. If you walk under on it zaps you outta existence LOL. If you put your tongue on one of these on a cold day you'll hear propoganda-filled podcasts in Chinese, but on most warm days you’ll just hear high-pitched crackling noises and static. Or so I’m told. Does this thing emit radiation?